The best places for vegan food in Phnom Penh – let’s talk about it! While there is quite a bit of meat and fish sauce in Cambodia’s traditional cuisine, there are quite a few dishes that are naturally vegan. 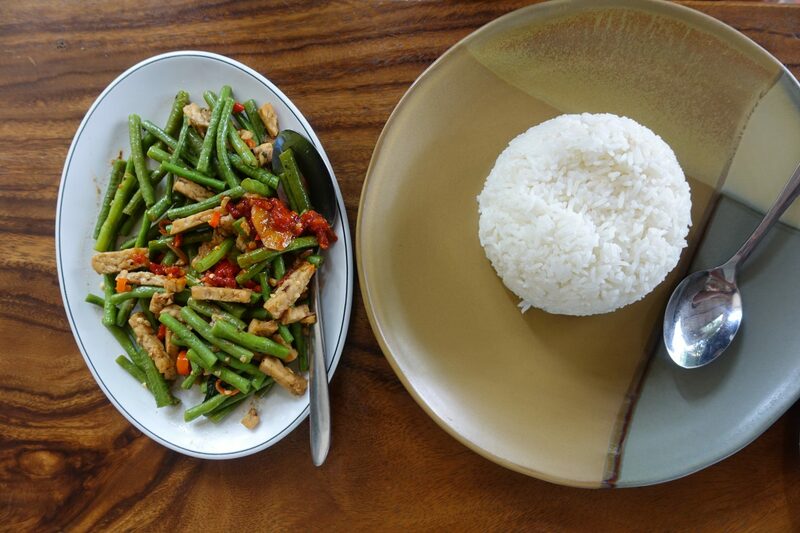 The Khmer Krom, an ethnic minority, actually follow a vegetarian diet with heaps of dishes being vegan. 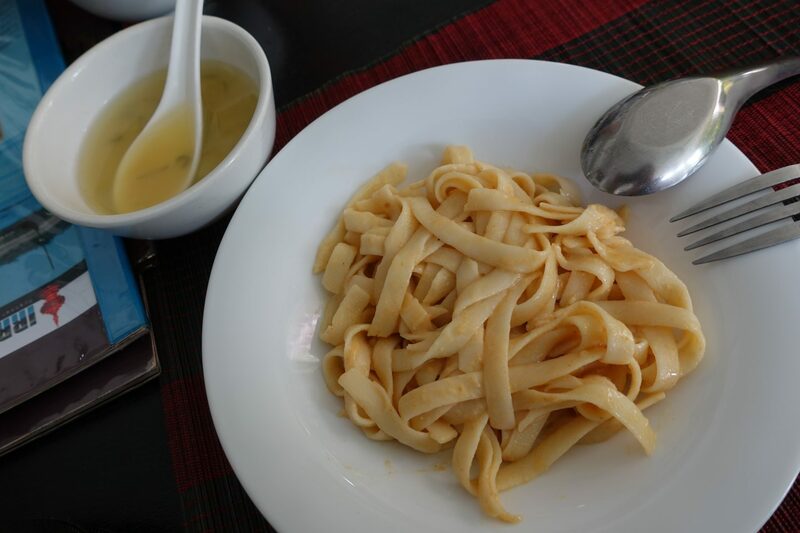 There is an abundance of choice in Phnom Penh – there are restaurants serving local Khmer cuisine and there are also heaps of restaurants serving food from all over the world. 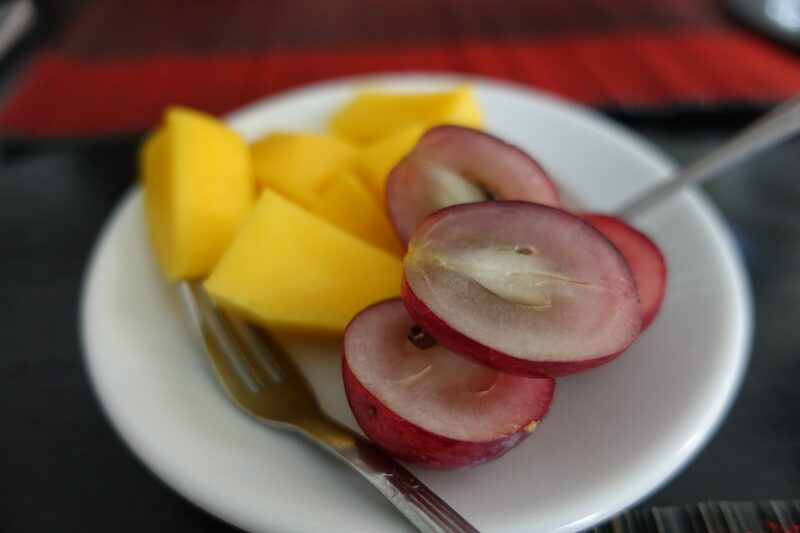 This list consists of my favorite places to grab vegan food in Phnom Penh. I was so thrilled to find this gem. This is, hands down, my favorite restaurant in Phnom Penh! Sumatra is an Indonesian restaurant with an extensive vegan-friendly menu. While a lot of their dishes come with oyster sauce or shrimp paste, you can simply ask for the dish to be made without it. The food was incredibly flavourful and I ended up going several times while staying in Phnom Penh. Most veggie mains are around $2.50 and $3 with rice and that is considered moderate by local standards. Have a look at their menu here. 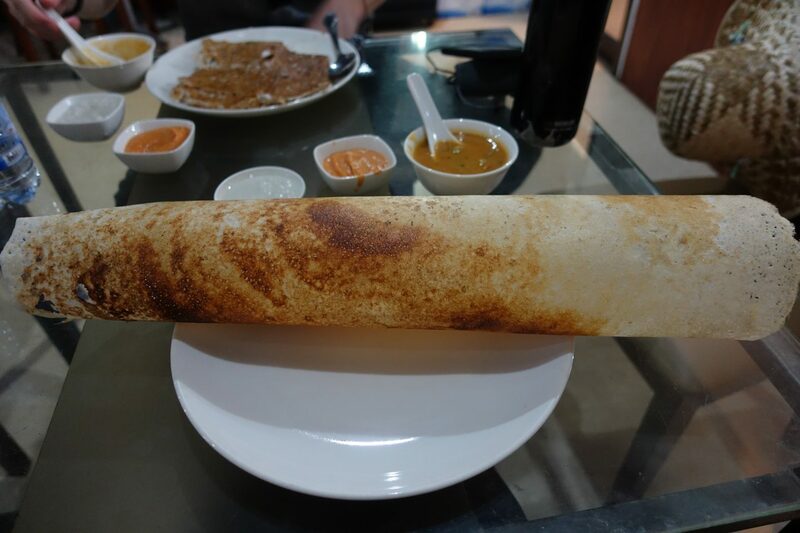 Taste Budz is a small restaurant serving South Indian fare. Don’t be fooled by the super low-key atmosphere – the food is absolutely incredible. Most mains are between $2.50 and $4 and that is considered moderate by local standards. 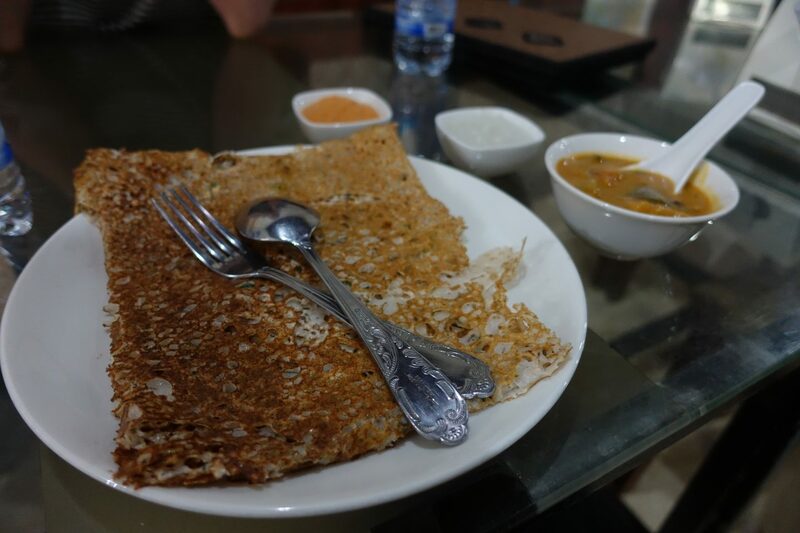 The samba and chutney were some of the best I’ve ever had and so was the paper dosa I got. Best Indian food since visiting India! Have a look at Taste Budz’s TripAdvisor reviews to get an even better idea of the place. The minute I read about this place I just knew I had to go. 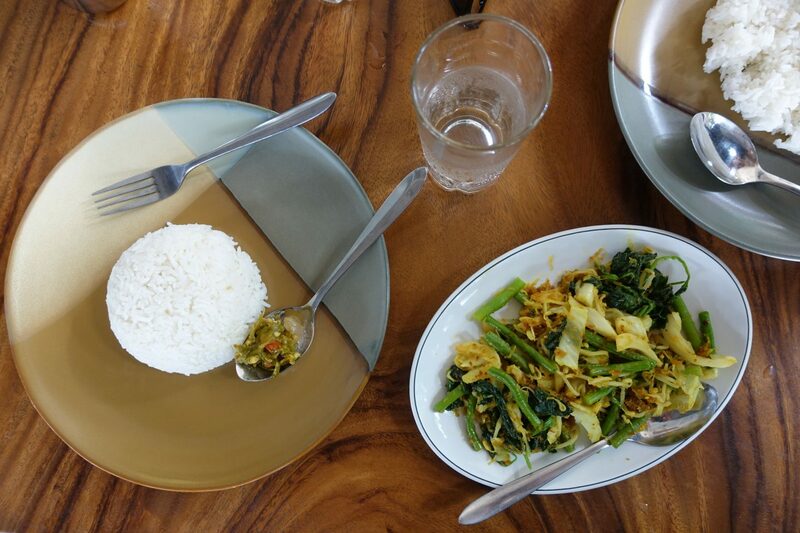 Irrawaddi serves Burmese food and has a huge amount of dishes that just happen to be vegan. I ordered Nan Pyar Thoke (Flat Noodle Salad) with soup for $3 and was initially surprised by the size of my portion. I was hoping for a bigger one! That being said, although it may look pretty boring on the photo, the flavor of the food was out of this world. After our meal we got a small plate of fruit to share and after that I was full. If you are a lover of Burmese food then going to Irrawaddi is a must. If you want to learn more about the place check out an interview that the owner did here. Most vegan mains range from $2-$3. There is actually an abundance of vegan Cambodian street food. 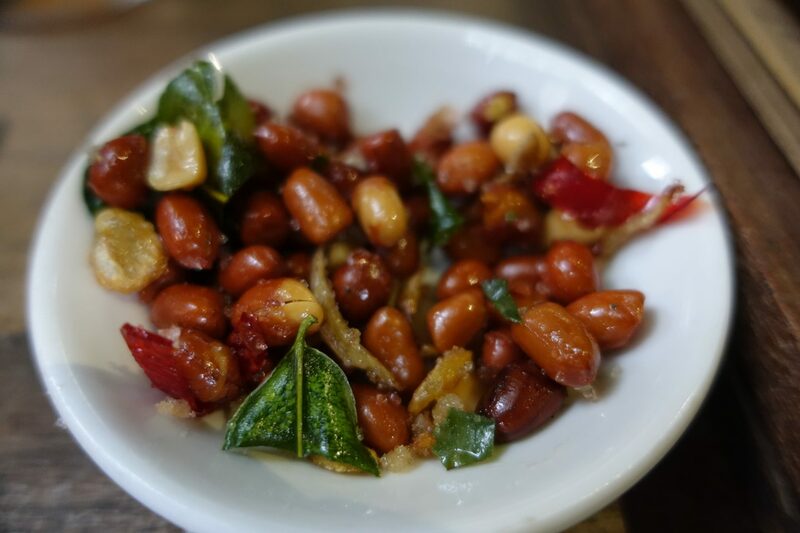 Unfortunately, during my stay in Pnohm Penh I didn’t see a whole lot of it and so I’ll only include what I actually tried: Spicy lime leaf nuts! Whenever my man ordered a beer, this is what he got. They have an incredibly unique taste and if you see them at the store, the market or a restaurant make sure to give them a try! There is a shop selling homemade cakes called Crumbs that has a handful of vegan options. While it’s definitely expensive by local standards it may be worth a visit if you are craving a vegan sweet. Unfortunately, I didn’t end up making it to Crumbs. Yosaya Thai Food is a local Thai food place that I went to and decided not to include in this write-up. The food was a little too oily for my taste and most of their dishes contained meat. If you happen to stumble upon it though and there’s nothing else around, then definitely give it a go! I highly recommend checking out this post. Unfortunately for me, I didn’t stumble upon it until after my stay in Phnom Penh. What are your favorite places in Phnom Penh? I’d love to hear from you! Next Post Visit a Textile Factory with me!